Do you think your loved one suffered abuse or neglect in a Hampton nursing home? Unfortunately, nursing abuse and neglect are all too common. Our website offers you the information and tools you need to do something about it. We have tried to provide you with answers to your questions and have many blogs, videos and podcasts available for you to view. Once you have a chance to take a look at the materials you may have more questions. Please feel free to give us a call. It is helpful to note that abuse and neglect are different. Abuse is the result of an intentional act. The person responsible for abuse might be criminally charged. Hitting a nursing home resident is one example of abuse. Neglect is unintentional harm to a resident. For example, a caregiver failed to notice a bedsore and it became infected. This act, although not done on purpose, still caused harm to the resident. Neither abuse nor neglect is to be tolerated in a nursing home. Can I sue the nursing home for my injured loved one? If your loved one suffered an injury due to abuse or neglect while in a nursing home you may be entitled to file a lawsuit against the nursing home. Nursing homes have a duty to provide a safe and clean environment for all residents. If they fail to do so and a resident is injured, they could be responsible. However, you may only file a lawsuit on behalf of someone else if you have legal authority to do so. You may need to obtain durable power of attorney or, if your loved one has a medical directive, you may be allowed to handle your loved one’s affairs if they become incapacitated. The legal guardian is also able to make decisions such as whether to file a lawsuit. If your loved one passed away the person named as the estate administrator or executor had the legal right to act on behalf of the deceased’s estate. How long is the statute of limitations for injury in Georgia? In Georgia, the statute of limitations for personal injury cases such as nursing home neglect is two years. The two-year period begins when the injury occurs or when the injury was discovered, whichever is later. This means that, in general, you have up to two years to file a lawsuit if your loved one was injured in a nursing home due to neglect or abuse. It is important that you do not wait until the last minute to file a lawsuit. There are many things that need to be done as part of a lawsuit. For instance, you will need to have an affidavit from a doctor to support the claim. You will also need to have the legal ability to file a lawsuit on behalf of your loved one or your loved one’s estate. These things can take time to accomplish. If you miss the deadline you will not be allowed to file a claim. We are Schenk Smith, your Hampton nursing home lawyers. You may be wondering why we offer so much information about nursing home abuse and neglect. That’s because we focus only on nursing home lawsuits. This concentration allows us to provide you and your family with our attention in handling your nursing abuse or neglect case. One of our founding attorneys, Will Smith, spent almost a decade working as a CNA in Georgia nursing homes so we understand nursing homes inside and out. Once you have had a chance to read our blogs and view our videos you may want to give us a call. We are available to come to your location whether you are near the Atlanta Motor Speedway, Floyd’s Lake or City Park we are here to help. Nursing Home Abuse & Neglect in Hampton, Georgia – What you need to know. Hampton, Georgia is located in Henry County and has a population of 3,857 residents. Of those, 6.90% are aged 65 and older. Nursing home abuse and neglect are not uncommon and they do occur in Hampton. Neglect in a nursing home can take many forms. It can often cause injuries that can lead to more serious medical conditions. Neglect can occur when staff members are overworked and are unable to provide residents with the quality of care they require. There are some signs you can look for if you think your loved one is being neglected. Reduced mental capacity: If your loved one was sharp as a tack and suddenly seems to have reduced mental capacity it could indicate that some type of trauma has taken place. Typically, a person’s cognitive abilities may diminish slowly over a period of time. Sudden problems with memory or speech could be serious and might be indicative of neglect. Decrease in weight: Good nutrition is essential for good health, especially in the elderly. If your loved one has a significant drop in weight it may be a sign of malnourishment. The nursing home is required to ensure that residents get the proper daily nutritional intake and if they fail to do so, it may be considered neglect. Poor Hygiene: Many elderly nursing home residents require assistance with their daily personal tasks. Some of these may include washing their face, brushing their teeth, brushing their hair and going to the bathroom. If your loved one’s appearance seems unkempt it may mean that they aren’t getting the attention necessary on a daily basis. This is a form of nursing home neglect. Are bedsores an indication of neglect? Bedsores occur most often when a person with limited mobility is unable to move around freely. The body’s weight on bed linens and other things can cause continual rubbing which creates a sore. Bedsores start as small, painful red marks but can worsen very quickly. The most common reason for bedsores is the failure on the part of nursing home staff to reposition a resident on a regular basis. Inadequate staffing: When there aren’t enough staff members in a nursing home the quality of care is likely to suffer. Repositioning a resident every several hours may be difficult to do if there are many other tasks that have to be completed. Improper training: Staff members may not be properly trained about how to handle immobile residents. They might not know what to do to prevent the formation of bedsores. Residents must be repositioned every few hours, including overnight. Some staff members, particularly those working the overnight shift, may be ill prepared to handle this type of care. Failure to report the bedsore: When a bedsore is noticed quickly it can be treated and it will likely heal. If a bedsore is allowed to worsen without treatment it can quickly deepen and become infected. One of the most common problems with bedsores is that they go unnoticed or untreated for too long. Then, treatment and recovery become difficult and if an infection occurs it could be life-threatening. Who may be liable for nursing home neglect? Mistreatment in a nursing home is never acceptable. Sometimes neglect doesn’t cause any physical harm while other times it can result in life-threatening injuries. When a serious injury or death is caused by neglect it is natural to want to find out what happened. A lawsuit may be filed against the responsible party. Nursing home: The nursing home is most often liable for nursing home neglect. They have a duty of care to residents. They must ensure that the facility is safe and that the residents are protected from harm. Neglect, although not intentional, can be prevented. Therefore, the nursing home is likely responsible for any neglect that happens in their facility. Nurse: A nurse may be liable for neglect or medical malpractice if something was done that harmed the resident. Medical professionals are held to a high degree of care and they know that some things they do, or fail to do, could cause harm to a resident. Third party: To a lesser degree, a third party may be held liable for nursing home neglect. Though not as common, it may occur from time to time. For instance, a mechanical bed malfunctions and causes a resident to fall and break his hip. The manufacturer might be responsible if the equipment malfunctioned due to a defect. My loved one was hurt in a Hampton nursing home – What do I do next? If your loved one was severely injured or passed away at a Hampton, Georgia nursing home, then we recommend that you act as soon as possible to protect your loved one’s rights. One other option that you have available is to file a complaint with the Georgia Office of the State Long-Term Care Ombudsman. This is a statewide program that provides trained advocates to assist with the resolution of complaints of nursing home residents and nursing homes. They try to facilitate a resolution that is satisfactory and are able to enter nursing homes to ask questions. Paragraph here with DA office information. If your loved one suffered an assault, abuse or any other type of criminal act you may want to file a police report. Law enforcement officials will investigate what happened and the District Attorney’s Office: Flint Judicial District may file charges against the responsible party if appropriate. For abuse occurring in a Hampton, Georgia nursing home, report the crime to the City of Hampton Police Department or to the Henry County Sheriff’s Office. If your loved one was seriously hurt or abused in a nursing home it may be advantageous to find another facility. You want to make sure that the nursing home you choose will provide your loved one with high quality care without the fear of abuse or neglect. One thing we recommend is that you visit the facility and do a walk-through so you can see firsthand whether the facility seems to provide high quality care. In addition, it is a good idea to find out some further details about the nursing home. The United States Centers for Medicare and Medicaid Services (CMS) provides a useful online tool through their Nursing Home Compare Website. The tool allows you to view information about any nursing home in the country, including those in Georgia. They provide ratings on overall care, inspection score and nurse to resident ratios, among other important details. They use a five-star rating system that makes it easy to compare various nursing homes before you make a decision. 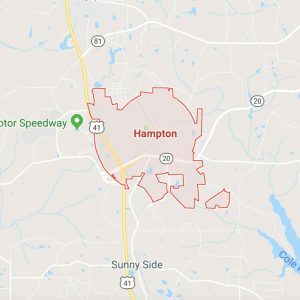 For your convenience, a list of all nursing homes located within Hampton, Georgia is located below, along with their contact information and inspection scores. A nursing home abuse or neglect case often relies heavily on the medical records to prove when and how the injury occurred. The nursing home may try to dispute your claim of abuse or neglect by saying that the injury happened before the resident entered their facility. These types of disputes can often be resolved with medical records from the physician, hospital and the nursing home itself. Obtaining medical records for someone else can only be done with legal authority. A spouse, sibling or child cannot simply ask for the medical records of their loved one because they are protected by federal and state privacy laws. This means that you will need to seek legal authority before you can make a request. You will need to have durable power of attorney, a health directive or legal guardianship over your loved one in order to legally act on their behalf. Once you have this authorization you may ask for medical records. If your loved one was injured in a nursing home in Hampton the hospitals listed below may have their medical records. Make a formal request to the ‘Release of Information’ Department of the hospital. When someone is alive they are allowed to file lawsuits if they feel that they have been wronged. 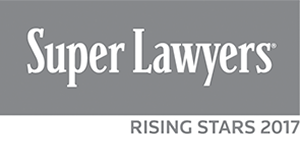 After someone passes away, they do not lose their right to file a lawsuit. However, the way a lawsuit is filed must change. Only someone with legal authority to file a lawsuit can do so on behalf of another. Even a spouse, sister, brother or child cannot file a lawsuit unless they first obtain the legal right to do so. After a person passes away a spouse or other relative must often establish an estate. This is done through a petition to the Probate Court of the county where the person passed away. The judge will appoint a representative to handle the affairs of the deceased. This representative is called an executor or an administrator. The executor is legally allowed to make decisions and file lawsuits on behalf of the deceased person’s estate. Click here for the Probate Court of Henry County. When you are looking for a nursing home it is important to know that each one is different. Here is a list of nursing homes in Hampton, Georgia, along with important information so you can make comparisons more easily. The information is from the CMS Nursing Home Compare site. 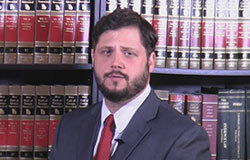 Reliable: We have obtained millions of dollars in settlements and verdicts for our clients in the last two years. You will have access to your attorney and will usually communicate directly rather than through a case manager. You can even have access to your attorney’s cell phone number. Our clients give us good feedback. Focused: Because we focus only on nursing home cases we know the laws and we know how to work with nursing homes and their lawyers. 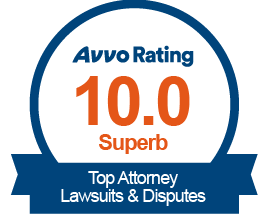 This allows our attorneys to have better insight into these types of cases and as a result we are more efficient. Knowledgeable: We understand nursing home cases and we like to educate you and others about nursing home abuse and neglect. Our blog has hundreds of informative videos and we host a weekly podcast to provide even more information. If your loved one was injured or died in a Hampton, Georgia nursing home, please call us at Schenk Smith (678) 823-7678 for a free consultation. You can also check out hundreds of video FAQs on our website.